Premier League managers spend much time plotting a match-winning strategy, but it does not always work. Adrian Clarke looks at five who changed their tactics mid-match to win the day. After analysing how Ronald Koeman masterminded Everton's victory at West Bromwich Albion this season, here Pep Guardiola's quick thinking earned an impressive victory over Manchester United. Pep Guardiola’s penchant for flowing football is facilitated by a fluid approach to tactics, and this was evident during his first experience of the Manchester derby. To ensure he claimed all three points at Old Trafford the Manchester City head coach cleverly changed tact twice during the second half. Early on his City side had performed quite beautifully in a 4-3-3/4-1-4-1 formation. They pressed high, stretched the pitch as wide as possible in possession, and used pockets of space between the lines for Kevin De Bruyne and David Silva to thrive. A 2-1 half-time lead did not reflect their superiority. Jose Mourinho changed the Manchester United formation and brought on two substitutes at the interval, and within three minutes of the restart, a resurgent home side had created three chances on goal. The tide had seemingly turned. Guardiola’s reaction was almost instantaneous. Ditching the blueprint that had worked so well, defensive midfielder Fernando replaced striker Kelechi Iheanacho on 53 minutes, with Fernandinho pushing up, and the in-form De Bruyne asked to act as a "false nine" up front. Switching two of his best-performing players was a risky strategy, but the extra security in central midfield quickly stabilised the situation. Adopting a counter-attacking style in this shape, City soon wrestled back control, producing nine efforts on goal – and facing none – between the 71st and 88th minutes. 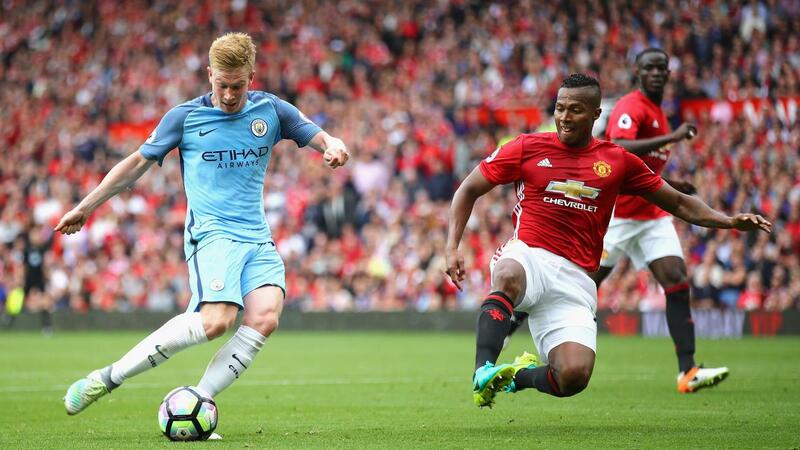 Guardiola’s tactical adjustment effectively shut down United’s momentum, and increased his own side’s potency. But for the woodwork, De Bruyne would have deservedly extended the lead in the 75th minute from one of many incisive breakaways. As the clocked ticked down, in response to the hosts’ inclination to pump a series of high balls and crosses into their box, City’s new head coach then asked his players to form a deep lying 5-4-1. 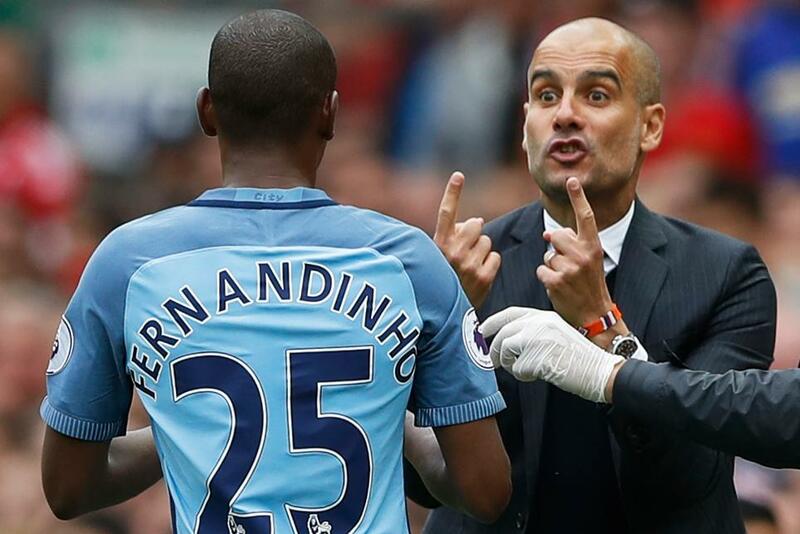 Fernandinho dropped back to be part of a three-man central defence, who soaked up late pressure with relative ease. Plan A had worked fabulously for Guardiola, but it was arguably his wisdom to switch to Plan B and then C that helped Man City claim victory. From a tactical perspective this was a wonderful managerial performance.